I just want to take the time to express to the world who my daughter was. She was a wonderful mother 1st and a outstanding daughter second with so many titles after that. She was family-oriented and spend 95% of her social moments with family. She never bothered anyone and was the nicest and sweetest young lady you would ever want to meet. She loved her son more than herself and was working towards becoming a more productive person to secure themselve with a sense of financial stability. Her mother's life insurance policy for Tonja' was cancelled in November due to financial hardship. This is the reason the family are asking for donations to help with the expenses of Tonja's Celebration of life. 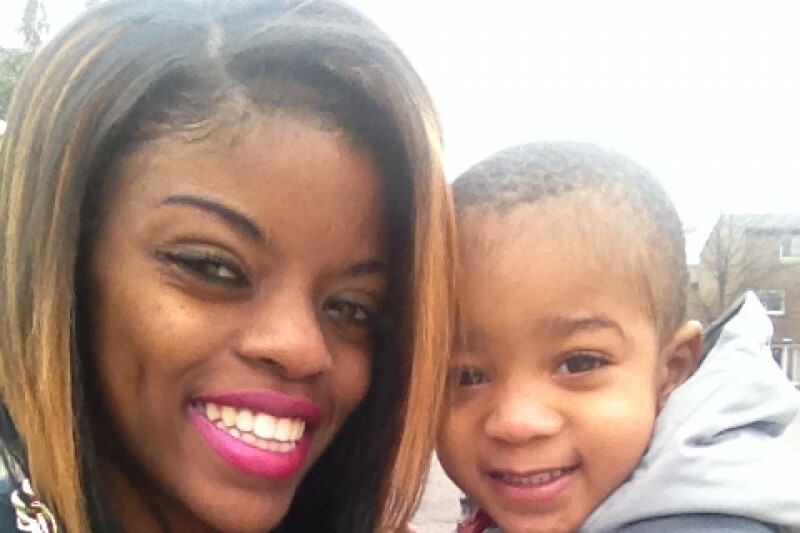 A large percentage will be placed into a savings bond or trust fund for her son Tru'. And the rest of the donations will be split among her 3 younger siblings. We appreciate all the love and support given to help us move forward with our grieving process for Tonja'. Thank you all. Due to my current comment simply because of a misunderstanding I apologize . I'm currently speaking to the aunt and she informed me that this is legit disregard my comment please if I knew how to delete the comment I would . I am deeply sorry . First of all, the love and support from you all... AMAZING!!! I feel so blessed to be able to share my wonderful daughter Tonja' "Celebration of Life" with you all. I would like to give a update of Tonja's final farewell. But first I would like to say thank you to everyone who reached out to offer condolences, loving words and their help. I apologize that I haven't had the time to respond individually but I really appreciate everything everyone has done for me and my family during this moment in our life. I really don't believe words can express how I feel. However I can say I feel strong at a time when I should feel weak. And I believe the support and love everyone is showing gives me the strength I never knew I had. So thank you so much again. Now for the UPDATE: At the moment we are still waiting for Tonja' body to be released. Plus we are still planing her celebration. As soon as the date is confirmed I will post the invite. To EVERYONE who reached out to me regarding information on cash donations, please donate to the gofundme page I shared on my timeline. If there is a issue or question you can contact Star Gross, Star Luvinmyteam Gross, and Shantia Funsize Ruffin. Thank you again for helping us celebrate the life of Tonja' Chadwick. BEFORE I GO I would like to ask everyone to please still help me spread the story of my child. Her killer is still not captured and I won't be able to rest knowing there is someone out here capable of placing another parent in Tonja' father and I position. So before Tonja' name and face fades away with the next big story, please consider helping the detectives locate or capture Marco Holmes. If not for Tonja' then for the next young girl life we might can save. #Justice4Jay. Thank you for taking the time to read my post. What is the money for not being smart or anything but it doesn't say much! Did she not have insurance? I was going to donate, but after reading comments I don't know if this page is legit and it does not say what the money is for. Is this page legit or not, before people donate to a fake page. I'm so sorry for your family's tragic loss. My deepest condolences to her son and family. God Bless ! To Kasha, Tru, and the family you have my deepest sympathy. God bless you all during this time of grief!